Mérignac offers a whole range of solidarity services to make life easier for the elderly, ranging from a multi purpose help and home care service (SPASAD) to daily assistance and nursing care, home-based meals and social assistance. There are also restaurants, residences, remote assistance, transport on demand and help to go shopping. The city also has an animation service that offers a quarterly programs of leisure, outings, visits, conferences and different célébrations (dancing meal, karaoke). The township supports lots of dynamic associations composed of more than 450 members. We ensure that they are aware of the fact that the population is aging and that their expectations are changing into practising different activities open to other people.. The city is also developing innovative actions – like new cooperation between professionals and volunteers – in order to be closer to the needs expressed by older people, so that they feel good in their city and keep their autonomy as long as possible. 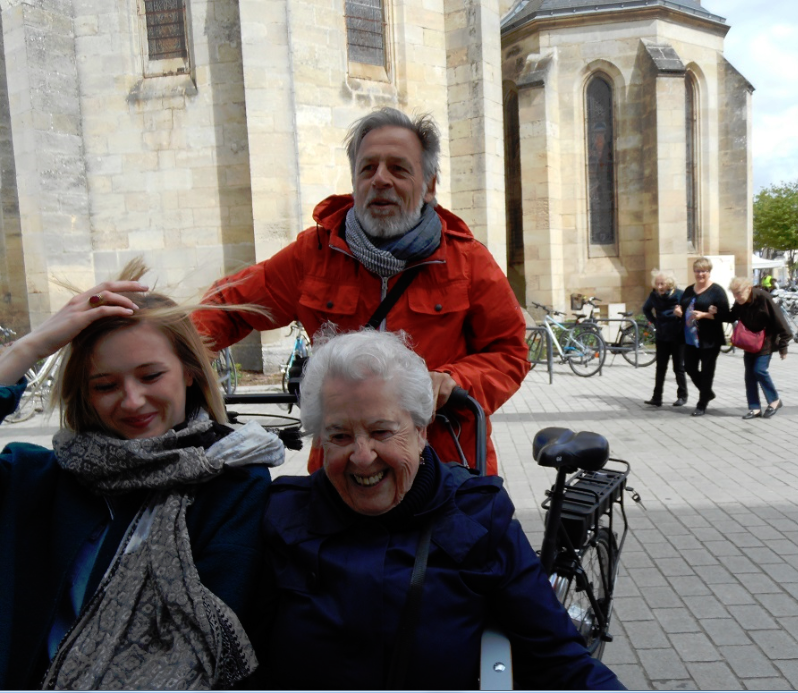 There is a network of inhabitants committed against retirement (Monalisa/national mobilization against the retirement of older people), social visits, soft and alternative mobility (cargo bike, solidarity transport). Professionals and volunteers also promote diversified and intergenerational activities in the 10 districts of the city. Our participation in the “Réseau Francophone Villes Amies des aînés” (RFVAA) is an opportunity to gather all our services around an ambitious and harmonious project for the city and older people who live in Mérignac. It also allows us to optimize our approach by exchanging experiences with other cities. Finally, the visibility offered by the network is a guarantee of quality and seriousness for the projects developed in Mérignac. This will enable older people to join us and share in meaningful memories.